Product categories of Competition Kettlebell, we are specialized manufacturers from China, Competition Kettlebell, Steel Handle Competition Kettlebell suppliers/factory, wholesale high-quality products of Colored Competition Kettlebell R & D and manufacturing, we have the perfect after-sales service and technical support. Look forward to your cooperation! 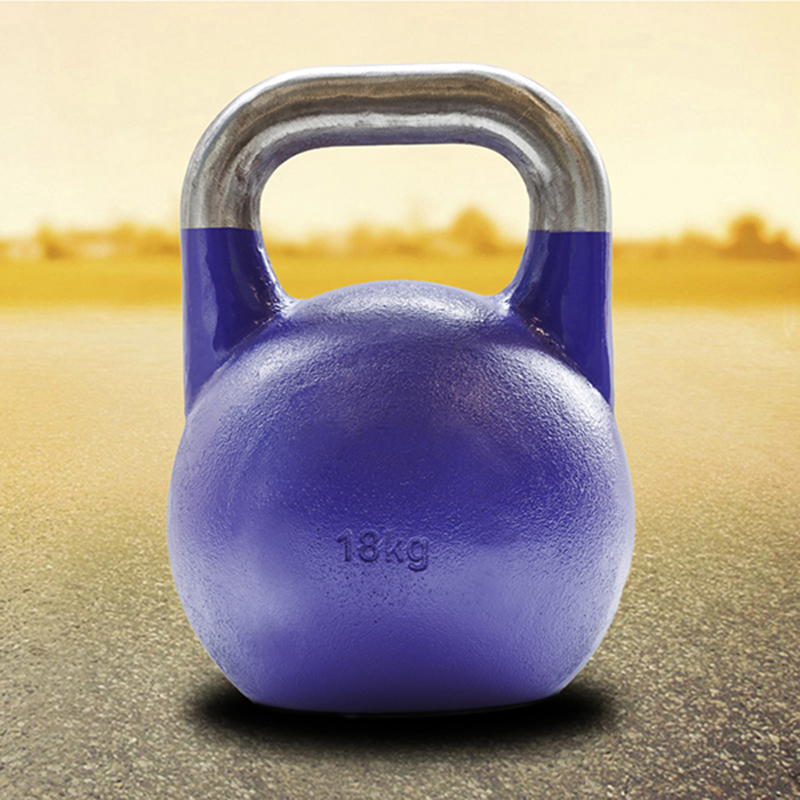 The Competition kettlebells are all a standard size and shape regardless of the weight of the kettlebell. These are great for users who have used kettlebells often and have developed their technique. The wide base is perfect for performing floor based exercises. Competition Kettlebells, which are made of steel are often called "pro" quality. The alternative is standard Cast Iron Kettlebells, which are usually cheaper. Both are available in a full selection of weights.